Show kids how easy it is to be a superhero, saving the planet one action at a time. 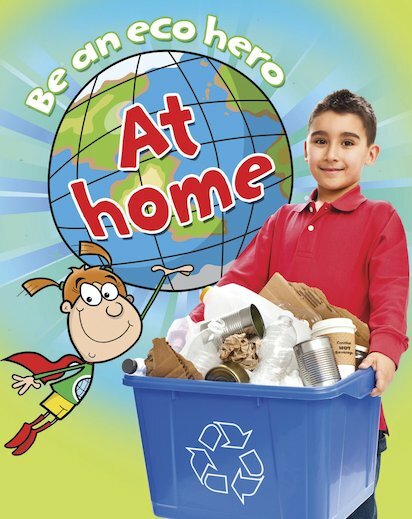 This inspiring fact book explores topics such as pollution, energy and recycling in the familiar environment of a child’s home. Bright spreads ask children to consider questions and then posit solutions. The book also suggests lots of simple green ideas for them to try. They can switch off lights and televisions, ask their parents to wash clothes in cooler water, or try to eat food that is locally grown. Young readers will love the cheery illustrations, which combine colour photos with fun cartoons.